What’s your place looking like at the moment? Bowls in the sink perhaps? This morning’s pyjamas flung on the floor? A carpet that needs a good vacuum? This would never happen at Monica’s place. Everything is perfect and has a place there. If we were Monica, we’d have people to stay all of the time, mostly so we could crack out the ‘fancy guest’ towels! Monica was a big child (her nickname was Big Fat Goalie), and although she hit some low points, namely eating the macaroni off a homemade jewellery box, it made her an ah-maz-ing chef and we can definitely empathise when she falls off with wagon with cookies. When her friends, brother, parents or colleagues are being especially judgemental or obnoxious, Monica has no problem on calling them out on their faults. If only we could be so open and honest! Ross and Monica are great friends as well as brother and sister and have plenty of anecdotes about their childhood (in a nutshell: Monica ate everything and Ross was a nerd), but our favourite gem from their childhood has to be THE dance routine. Monica and Chandler finally hook up at the end of the fourth season after Ross’s disastrous wedding in London, and ever since they were the best couple ever, the biggest perk being that they already knew everything about each other. So. Cute. This is NOT a fault. If only we could channel the energy and vivacity that Monica has when she wants to win. It’s admirable, albeit slightly frightening. 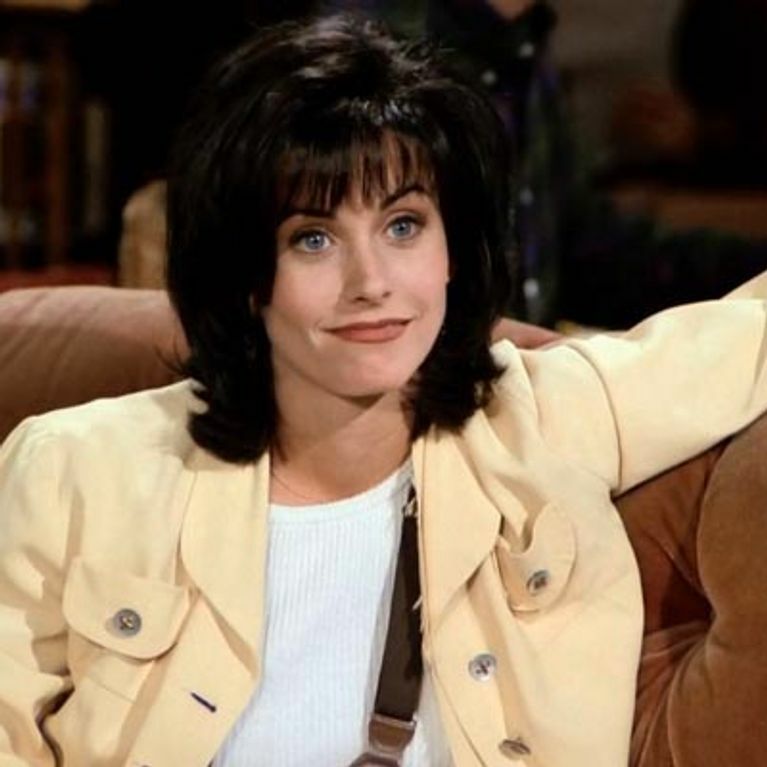 When Chandler is having some serious problems impressing his lady friends, Monica gives him some insightful and helpful advice about exactly what to do. We wish we were as half as funny as Monica is after she’s had a few bevvies. Unfortunately if we had a surprise party sprang on us after we got hammered at work, we'd probably just fall asleep on the sofa and cry. Sigh. Monica had Richard (Tom Selleck) in his prime with a glorious, glorious moustache. Richard was everyone’s dream man, was it not? He was mature, sauve, kind and we assumed that his apartment smelt of rich mahogany. Even though it didn’t work out, we would kill for a Richard in our lives. Monica does what she wants to do. She is a creature of impulse, and we love her for it. Monica enjoys being praised for excellence, which is why she goes out of her way to be so good at everything. Sometimes she goes too far, but we love that she’s sort of lame. Monica knows her comedy. If it involves putting a turkey on her head with a fez and sunglasses, then so be it!